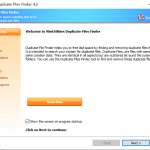 Windows applications create several files on your hard drive for temporary data storage. Each time you run a program, install new programs, browse the internet, check your emails or print your documents, temporary files are created in your system. Over time, these junk and obsolete files can accumulate to megabytes of wasted hard drive space, as well as turn into potential error-producing cross-linked drive references. Even when you just use your computer normally this accumulated data tends to slow it down. 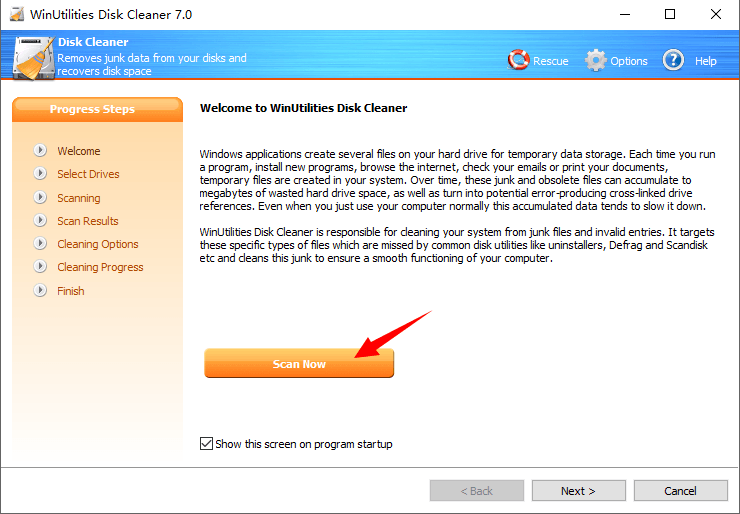 WinUtilities Disk Cleaner is responsible for cleaning your system from junk files and invalid entries. 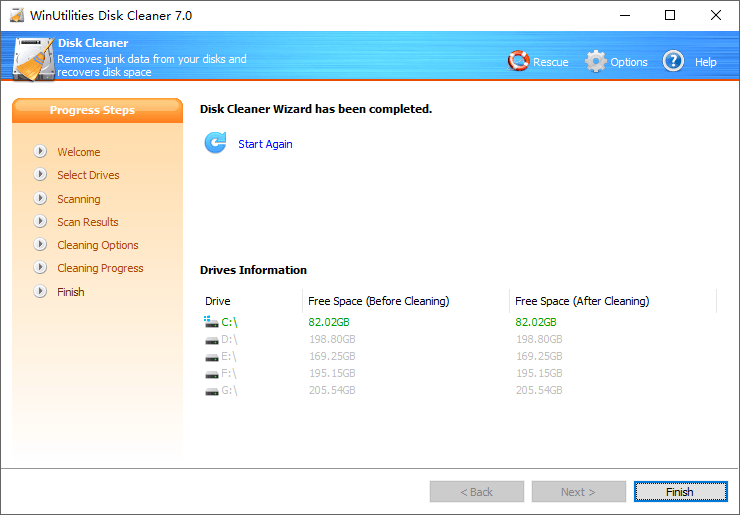 It targets these specific types of files which are missed by common disk utilities like uninstallers, Defrag and Scandisk etc and cleans this junk to ensure a smooth functioning of your computer. 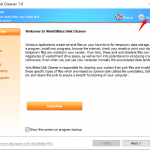 Run WinUtilities Disk Cleaner and Click Scan Now to move to the step 2. Select the drives or folders you wish to scan. 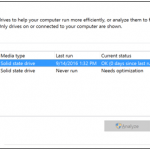 Click Next, WinUtilities will search the selected drives or folders for junk files. 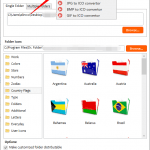 In the next step you will be able to select the junk files to be removed from the system. 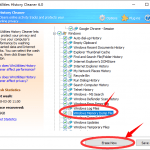 WinUtilities will show you the scan results of search for junk files. Check the items you want to clean. 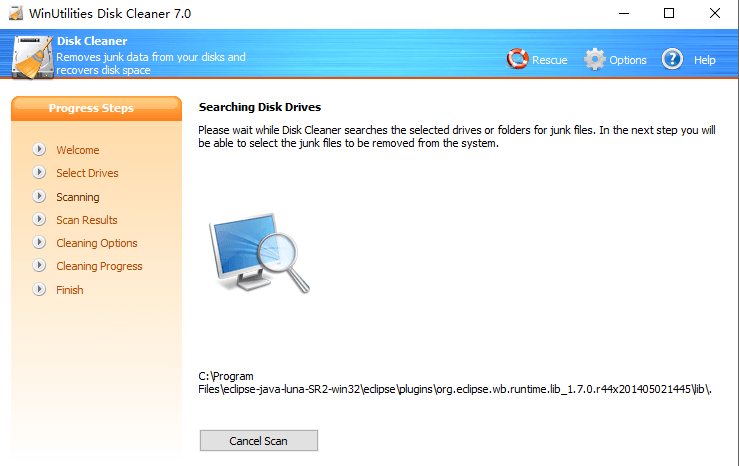 Select the manner which you would like the junk files to be cleaned. 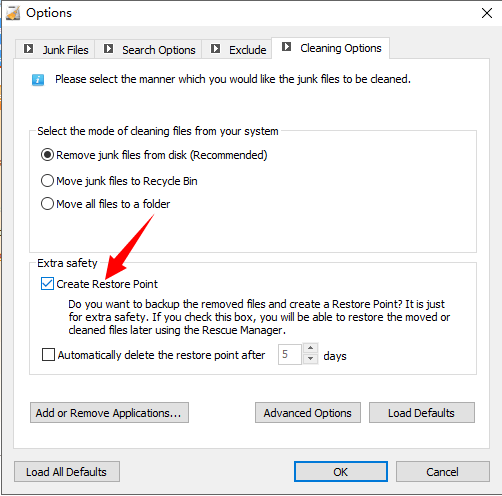 When you enable this Restore point feature, You will be able to restore the moved or cleaned files later using the Rescue Manager. 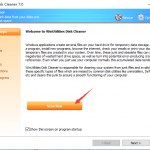 Click Next to start cleaning process. ⟵How to apply a discount coupon when you purchase our product?